DUBAI – The battered real estate market in Dubai has hit a bottom and property prices will start to recover next year after a period of some volatility, Dubai-based developer Deyaar Development said on Monday. 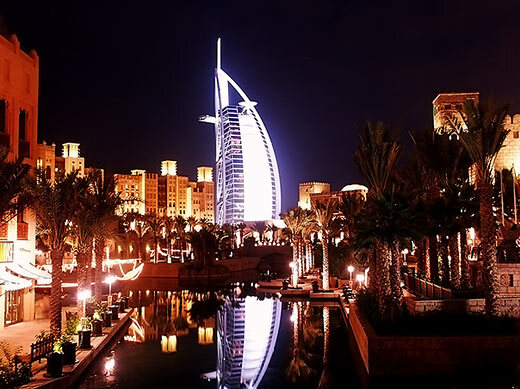 Dubai suffered at least a 50 per cent drop in property prices last year from their peaks in 2008, after demand fell and banks cut mortgage lending due to the global financial crisis. Price and rents have shown some stability since the start of 2010 but a large pipeline of new homes and offices, planned during the boom, means supply may continue to outpace demand for now. Deyaar’s chief executive officer Markus Giebel said his bullish view on property was based on the economic strengths of the emirate which will soon start to kick in after the recent downturn. “Fundamentals are strong and power of Dubai will allow us to see recovery next year, Giebel told reporters at the company’s headquarters on Monday. He believed that the downtrend for property has ended but prices will fluctuate within a narrow range before the recovery next year. Dubai’s second-largest listed developer, after Emaar,plans to complete more than five properties and to expand in the Middle East and North Africa region. Deyaar last week reported a 95 per cent fall in its full year 2009 net profit, weighed down by impairment charges and provisions but said it’s looking forward to more stable cash flows this year. Giebel said the company owes Dh1 billion in debt but said healthy cash flow means repayments were manageable. “It’s not big. It’s manageable,” Giebel said about the debt. He said that last year was the customers’ year and 2010 is the year of the contractor. The company is working with contractors to settle payment plan for Dh100 million. “We are negotiating with 10 contractors and want to reach on a payment plan,” he said. The company reviewed it payment plan in January and in the next 2-3 weeks complete payment plan will be done, he said. The property developer plans to generate Dh150 million from income producing assets by 2012. Explaining that Giebel said it would be up to 30 per cent of the annual revenue from rentals. He said that default ratio is much lower than 20 per cent. Deyaar’s Central Park project in Dubai International Financial Centre is almost 82 per cent completed and will be handed over in September, he said. Dh3.4 billion property is mixed-used development both for residential and commercial. Giebel expects 70 per cent occupancy rate by 2012. “I can sell it, if I need cash, but we don’t need to sell it,” he said. Deyaar stocks finished flat at 49 fils in a slightly lower overall market on Monday at the Dubai Financial Market. Springs or Arabian Ranches – which community do expats prefer?